Perth born and bred, and with a passion for the property market, Mark has over twenty-five years' experience in real estate, most of which he has spent running his own successful business. In Perth, the Mark Hay name has become synonymous with a professional, effective approach to real estate and property investment, and Mark's own dedication to excellence is reflected in the company's commitment to high-quality customer service and fantastic results for its clients. Mark has a particular passion for property, and has personally invested in numerous properties and developments all over Western Australia. Known for his business acumen, Mark is both a savvy investor and strategic planner. 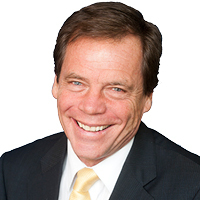 Over the last two decades he has successfully advised countless Perth residents on wealth creation through property.